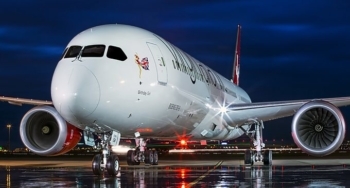 Virgin Atlantic has filed some excellent Upper Class fares from Amsterdam to North America. These are valid for travel from late July / early August up to 3rd September and between 17th and 31st December. Connections from Amsterdam are on Flybe or British Airways. You can learn more about Virgin Upper Class on this page of their website. New York and Boston via Manchester can be booked via the Virgin booking page here but the other routes via London require you to use Expedia (don’t forget to claim your Nectar points!). Hat-tip to German blog YHBU. The No 1 Lounge at Birmingham International suffers, along with its sister lounges at Gatwick and Heathrow T3, with capacity problems. This is especially acute in the mornings, when Priority Pass holders are at risk of being turned away if they have not paid the £5 reservation fee (you can reserve spots here). The good news is that No 1 is bringing its Clubrooms product to Birmingham. A new lounge is currently under construction opposite Gate 54, next to the Emirates lounge. I took a look at the Gatwick North Clubrooms here. At Gatwick South, the lounge has table service and is arranged in a more restaurant-like style. Instead of one large open space it is made up of a number of small rooms, with individual airlines – or private individuals if they wish – able to reserve a particular space. Gatwick North was done differently and looks more like a standard lounge, done out to a plusher standard than a standard No 1 Lounge. There is no opening date, and indeed there is no mention on the No 1 Lounges website that the lounge is even on the way – but it is. Tesco Premium Credit Card is reprieved ….. I ran an article last week saying that the Tesco Premium Credit Card was being withdrawn from the market on Thursday night. This was taken verbatim from an email sent to me from Tesco’s marketing agency, which also explained that is was being withdrawn because “[Tesco] won’t be able to offer all of the features” going forward. It seems that someone jumped the gun a little, because the card is still available for new applicants on the Tesco Bank website. I’m not sure what is going on here and I will try to get to the bottom of it. OT but is anyone having trouble paying for ‘business’ transactions with there Curve card? I cannot seem to make any. Almost all the payments that I have made have been classified by Curve as ‘business services’. I did have trouble at first, but found that lots of moderate payments, £300-400 do not cause a problem. I have had no problem, however over the weekend I have tried 5 times to put a payment through and it is not accepting them, not even the £200.00 ones…..
Is it the underlying card blocking it as potential fraud? I fill out of the application form and submit and then get a blank red error box on submission. I tried last week and again today and I’ve tried a couple different browsers, but still no luck. Can I call and do it and still get the 20k points on 1k spend for upgrading? Is it a charge card that you are trying to upgrade? Yes – never successfully managed to upgrade online (3 attempts over the past 18 months for my wife and I). Everytime i have had to do it over the phone, then argue with the Amex person that i would be due 20k bonus points as per the website T&C’s. Always got the card and the points. Similar attempts over the past 18 months for my wife and me have always been successful with the points being awarded with the last qualifying purchase. We have never been charged the £450 either. Now that’s interesting, just received my 20K and my first statement since an upgrade to Platinum. I was expecting the fee to be added this month but it hasn’t. I had issues with the upgrade link. Applied by phone and they confirmed I would get the bonus. I got the 20k bonus, can’t remember if I had to chase them or not. Darren – I too had the same…I cancelled the Platinum card via “chat” and no fee was forthcoming. How do you see a points per purchase break down in the Virgin flying club or Virgin Credit card like we do with Amex or B.A? I only see the total per month once per month. OT, spent the afternoon in terminal 3 lounge hopping. I’ve got to say, the Qantas lounge was the most disappointing, downstairs dining closed “until 6pm” felt like I was an inconvenience to the staff when I wanted a drink from the bar, which includes coffee. That’s a shame. I found the Qantas staff to be absolutely brilliant when I used the lounge last. OT: Haven’t seen this come up here.. Anyone know if the upper class fares listed are still available? Expedia shows £5,500 ams to lax presently for September travel and doesn’t offer Virgin Airways at all?? ?